The inspection of buildings, such as bridges, dams, industrial towers, or public arenas, can be greatly simplified using LTE connected drones. As traditionally done, inspection of buildings and infrastructure is difficult and very costly, involving the construction of inspection towers with scaffolding and camera mounts, and the hiring of attendants. With drones performing aerial inspection and transmitting video and data to a central operations center, inspection is greatly simplified, less costly, and much easier to manage from one central location. Drones can be controlled with precision to approach the buildings or other public areas needing surveillance, and then take photos or real time video, allowing the attendant to instantly detect defects, illegal activity, or any one of a number of other things related to security or safety. Drones used for aerial inspection of buildings could also be programmed with sensors to detect motion, heat or moisture, or open/close status of doors or windows. An LTE-connected drone has several advantages over drones connected via short-range technology such as Wi-Fi. In the case of tall industrial buildings or large monuments, the topology may be such that a drone could not be in line of sight with the operator, which would severely limit its range and utility. 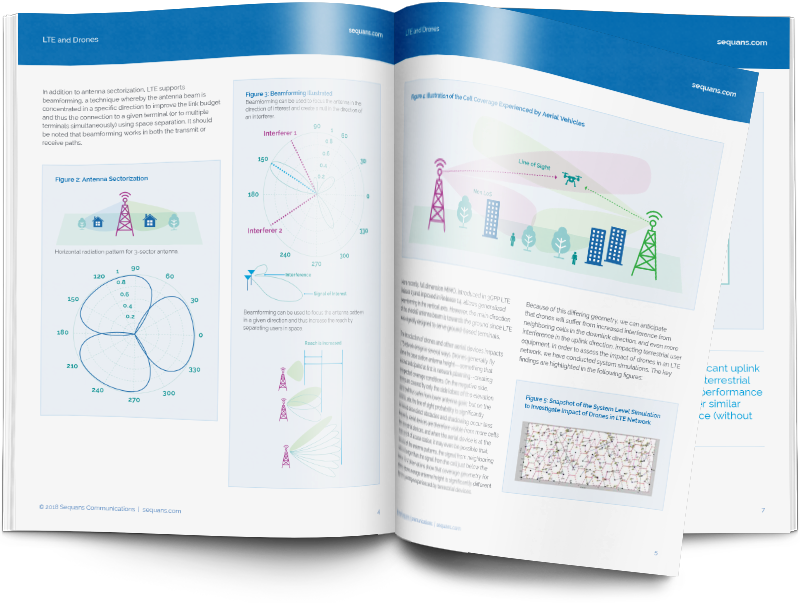 LTE, as a wide-area network technology, has no such limitation. Moreover, LTE can support high definition video streaming, enabling real time video monitoring of the building or monument. Sequans’ Cassiopeia LTE Cat 6 platform, with high throughput, optimized size, cost, and power consumption is ideal for this use case. Enter your information below and we’ll email you the White Paper.